It is located within Halong, one of new 7 world natural wonders, so the island has a strategic location for developing tourism. This potential is the reason why a Vietnamese millionaire invested millions of dollars to turns the old fish villages into a well-known and modern resort in the North of Vietnam. When you visit this island, you will witness a complex of luxurious villas, 5 star hotels, golf course and even circus. These places always welcome locals and foreign visitors all over the year. 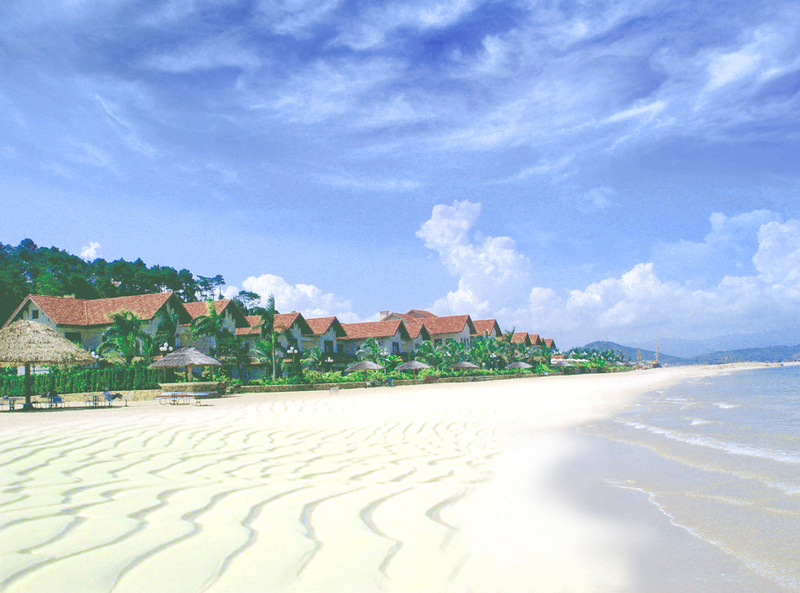 Tuan Chau island has a beach which is a golden-sand crescent, stretching over 2 kilometers long. Beside the beach, you can find Tuan Chau Holiday Villas on the right. 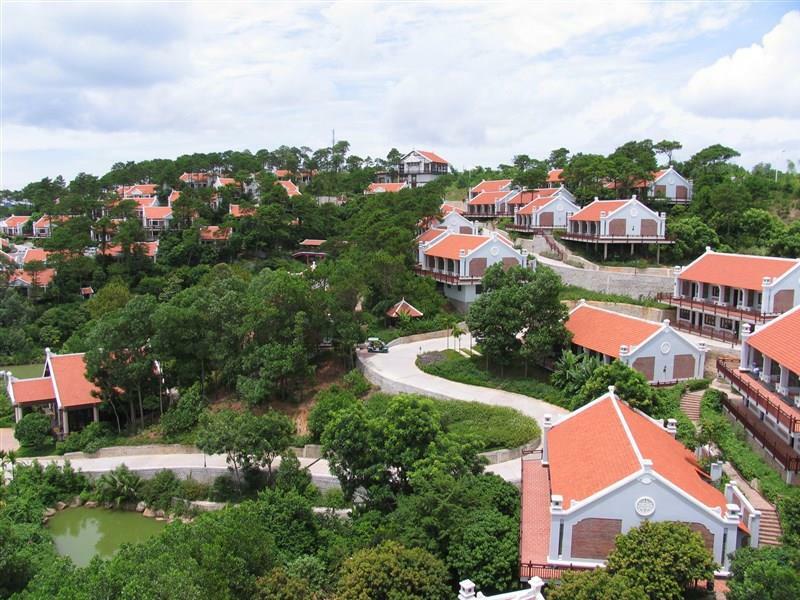 The Villas comprises more than 200 four-star villa rooms which harmonize Vietnamese and French architecture. 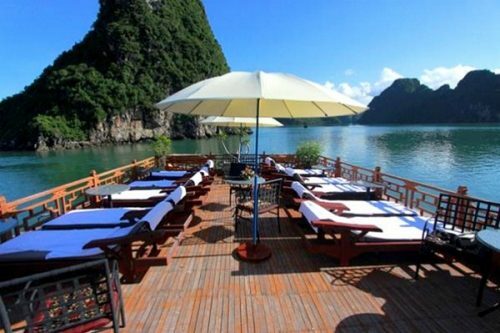 They are certainly dream houses to many people and ideal places to stay during the holiday because of having a wonderful panorama of the spectacular Halong Bay and being located on a hill of pine forests, colorful flowers and lakes. Among popular resorts in Vietnam, Tuan Chau is a rare destination which offers visitors a full range of entertainment. 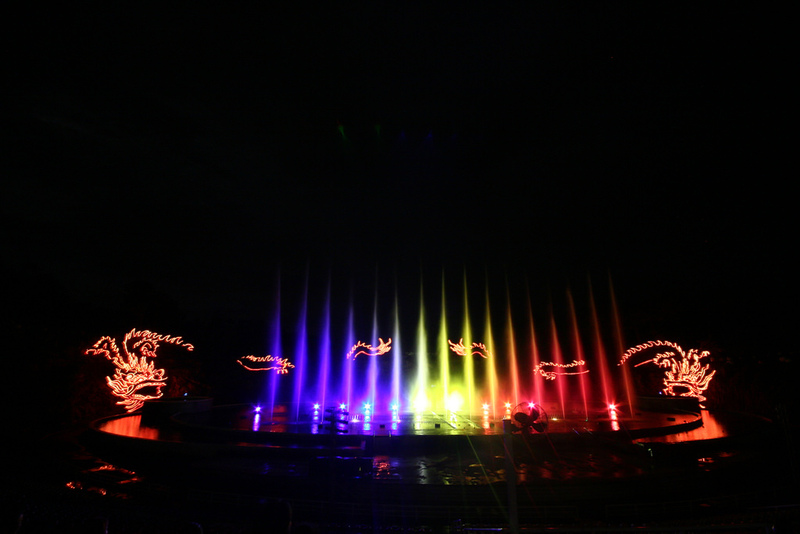 Visiting this beautiful island, you should spend your time surfing, jet skiing, watching water and light show, witnessing the mini replicas of seven wonders in the world and playing a paintball match. These coolest stuffs definitely will bring you the most amazing holiday you have ever had. 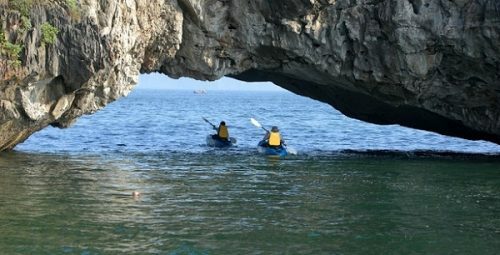 The journey to the island nowadays is much more convenient and time-consuming than before thanks to the construction of a 2-kilometer bridge which connects Tuan Chau island to the mainland. If you are in Halong City, it is easy to take a bus or a taxi to get there. 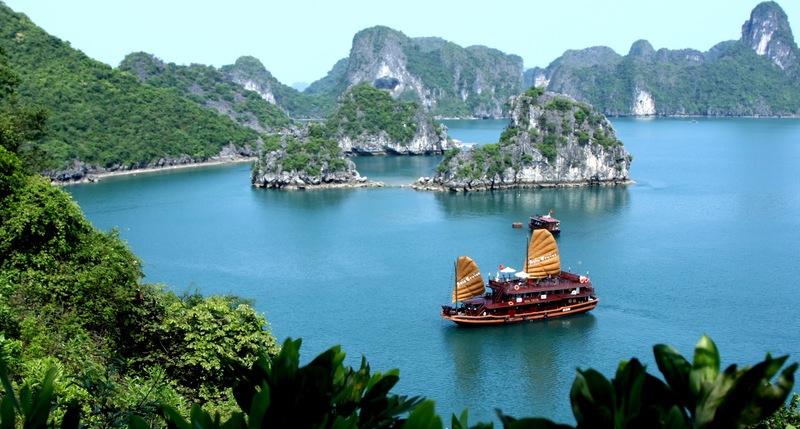 To get to Halong Bay, there are several ways. 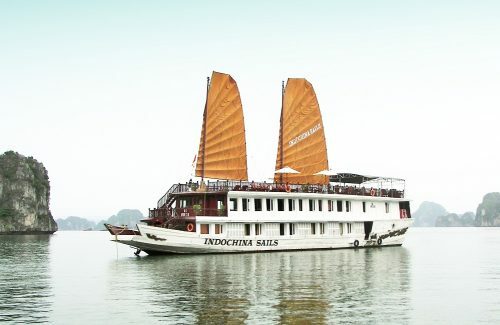 From Hanoi, you can catch a train in Hanoi Railway Station or catch a bus to Halong. Tuan Chau has a climate with four clear seasons and two extremities which is the cold dry winter and hot humid summer. From April to October is the best time for you to visit this island. During this time, you can try different activities. However, remember that the price soar high during the season due to increasing in the number of vacationers. 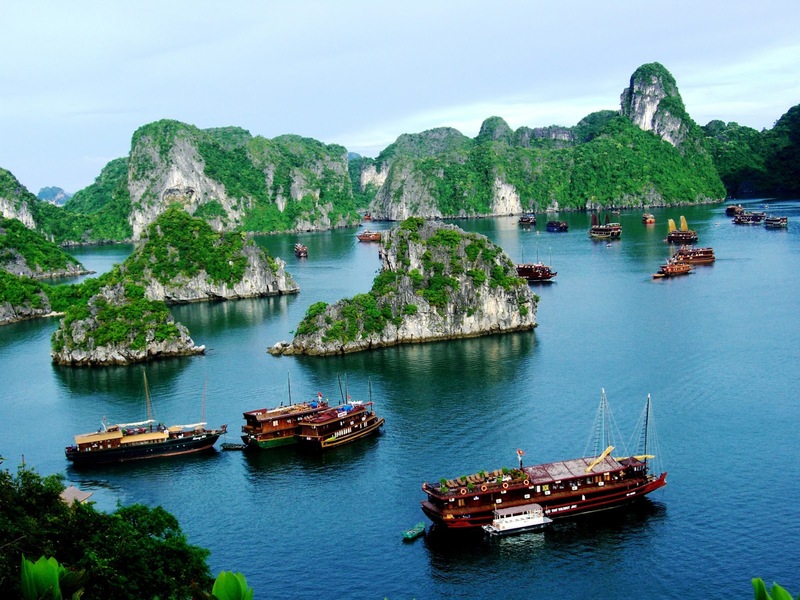 In the winter of spring, the weather is cooler but there are less activities such as sight-seeing, enjoying the beauty of islands and islets or cruising on Halong Bay’s waves. So with information about overview, how to get to and when to visit the island, we hope that Tuan Chau travel guide makes your trip easier and more comfortable. Wish you a nice trip and a happy time in Tuan Chau, Vietnam.